British actor Angela Barlow has had an extensive career in theatre, television, radio and voiceovers. Trained at LAMDA, she has appeared in a huge variety of stage plays – classical, modern and experimental – with theatre companies all over the British Isles. In addition she has been seen on film and in numerous television dramas. Besides her voiceover work, which covers television documentaries, natural history programmes, commercials, and campaigning films, she can also be heard on BBC radio. 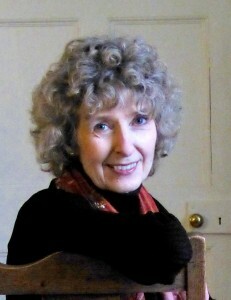 Angela frequently appears at Jane Austen events, either in her own presentations or supporting author Maggie Lane in hers. Angela has also written two highly successful one-woman plays for herself: Reader, I Married Him (about Charlotte Brontë) and After Chekhov (about Chekhov’s actress wife, Olga). Her mini-biography The Dancing Career of Nalda Murilova, can be read online at naldamurilova.wordpress.com This is an illustrated, exclusive account of the years in the 1920s when Angela’s ballet teacher, Madame Murilova, danced with the Pavlova, Diaghilev, and Stroganoff Ballets. To enquire about Angela’s voiceover work and her talks, Jane Austen and the Importance of Aunts, Jane Austen’s Actors and Jane Austen and Character: An Actor’s View, please contact her here.